But let’s be real, that’s not super exciting unless you’re actively planning a Hawaii trip or crafting a Kauai itinerary. I’m willing to bet most of you just want to see some beautiful Kauai pictures and maybe find out what you can actually see and do on the island. So let’s get into it! First, just one quick logistical note: you’ll fly into Lihue, which is almost exactly in the center of your driving route. There is no road that covers the west coast, so you’ll have to backtrack to get between the northwest and southwest regions of the island. And lest you think you can get away with skipping either end of the road, think again: 2 of the Kauai must-dos on this list can be found just off of both ends. You can drive from one end to the other in about 2 hours. Alright, here we go: here are 12 of what I consider to be must-do activities for a Kauai itinerary! One of my very favorite things about Kauai is how most of its campsites are in beach parks – i.e. right on the beach. You can’t pitch your tents on the sand, but you can set them up right along it and still enjoy views of the sea. 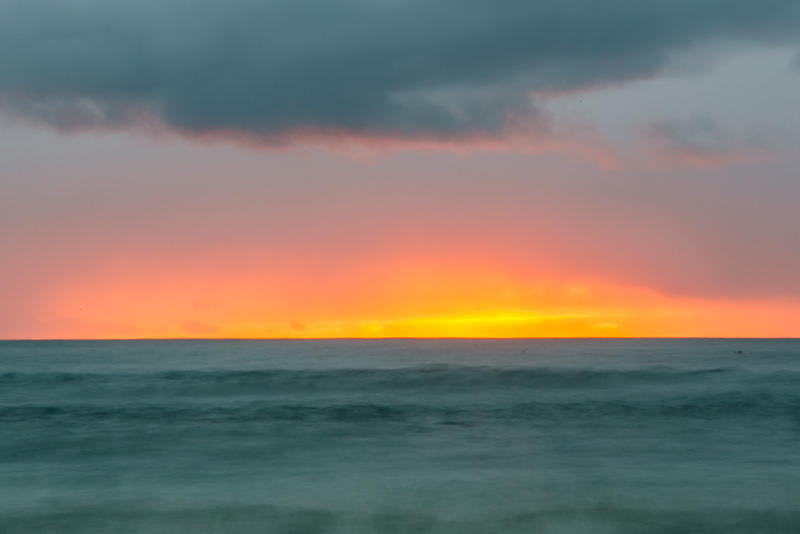 Does it get any better than falling asleep to the sound of waves crashing? Not in my world! 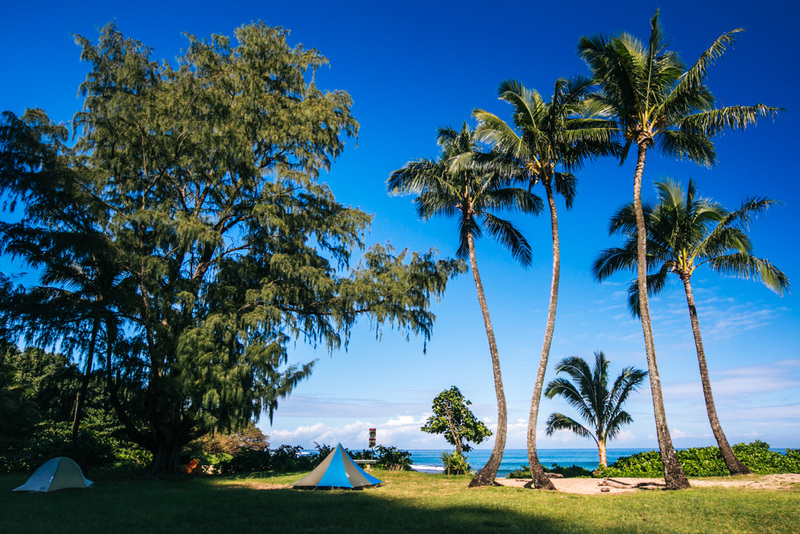 All of the Kauai county campsites are located on the beach and cost $3/night per person. I especially enjoyed camping at Salt Pond Beach Park on the south coast: it was wonderful waking up just after sunrise and going for an early morning dip in the (surprisingly warm and calm) water. 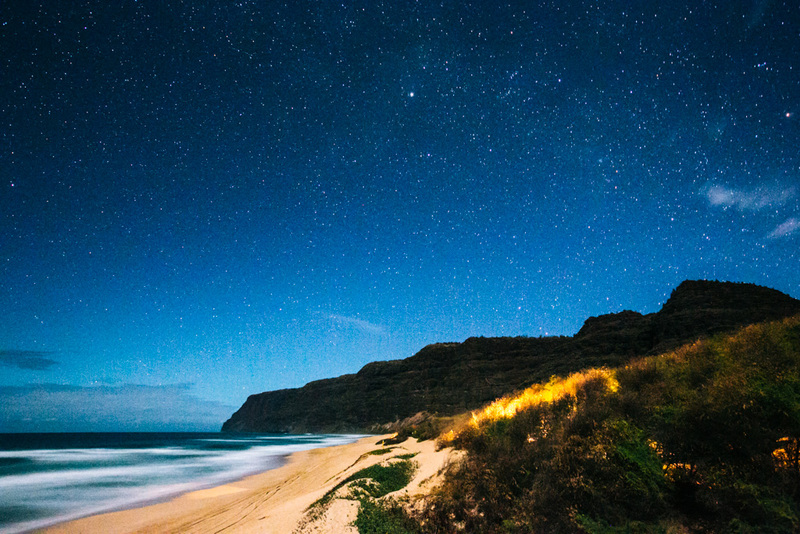 The one Kauai state park with proper beach camping is Polihale, and TRUST ME: this is a camping experience you don’t want to miss. 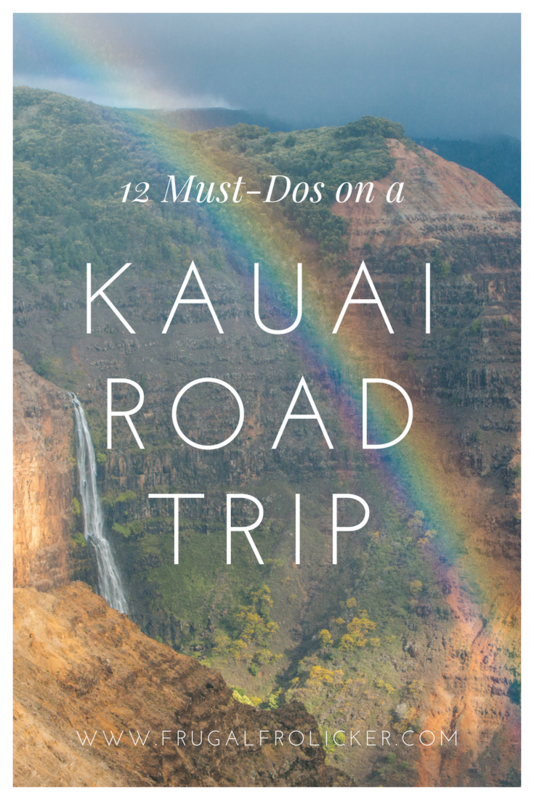 It’s a must do on your Kauai itinerary for sure. You can pitch your tent in the sand dunes here and then sit out and watch the sunset over the ocean. It is MAGICAL. 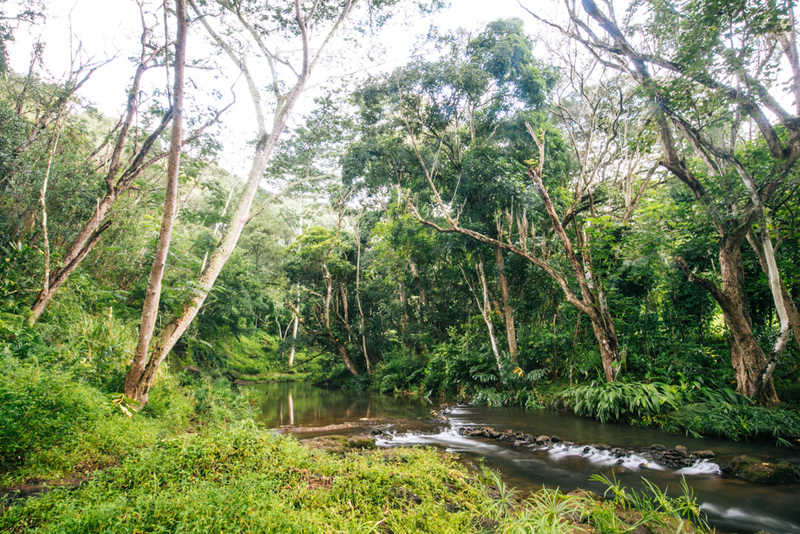 Check out the link below for more info on camping in Kauai! 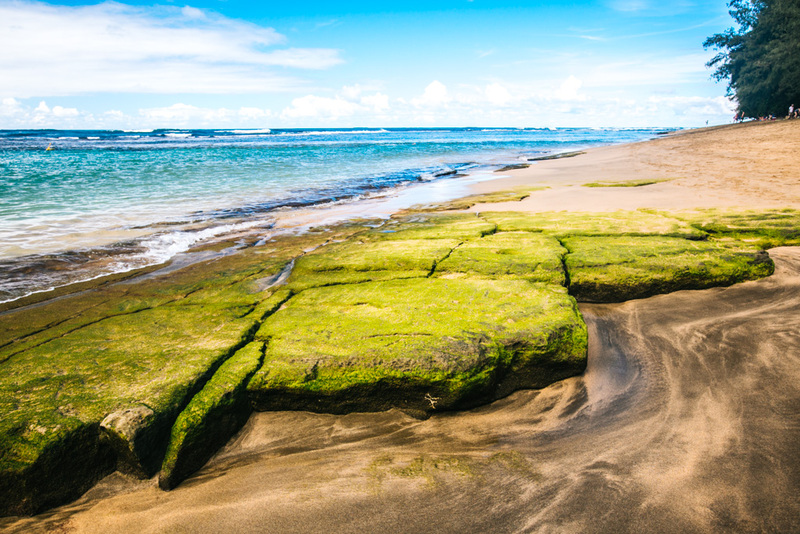 In terms of offbeat Kauai adventures, there’s a segment of the south coast just east of the Grand Hyatt that’s brilliant for walks and hardly anyone knows about it. 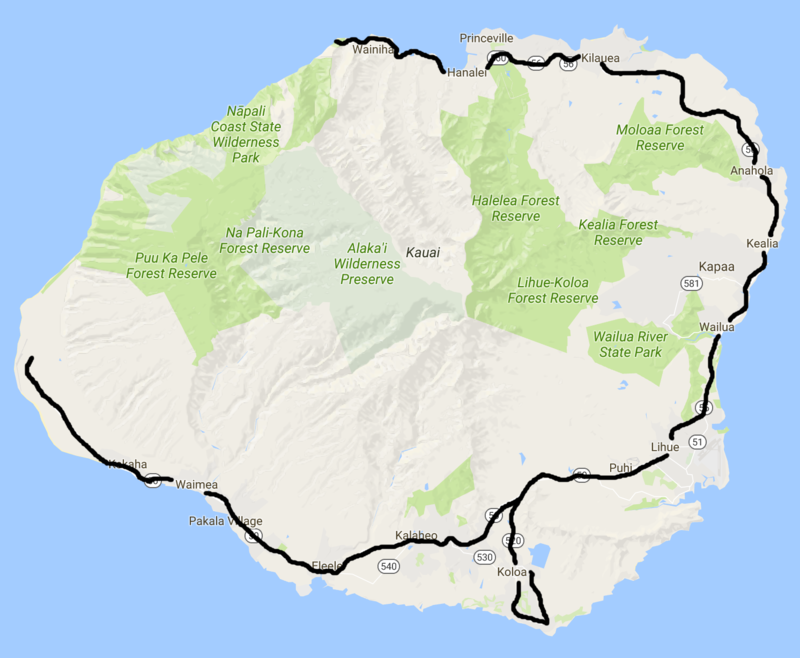 We had a bit of trouble finding access, but your best bet is to drive to the eastern end of Poipu Road, take a right at the fork (the left road should be gated off), and then take the next left at the fork away from the stables. If you search for ‘Makauwahi Cave Trail’ on Google Maps, that should take you to a good starting point. 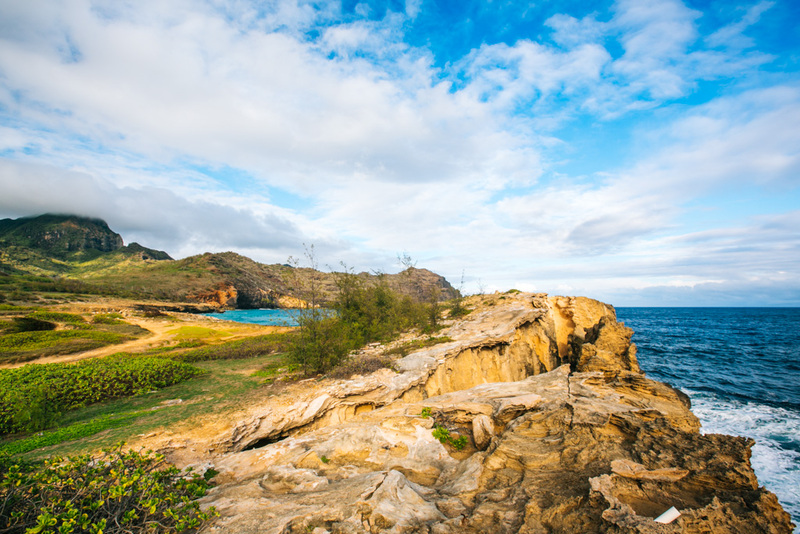 From here, you can either head right (west) toward the Hyatt and walk along the cliffs on the Maha’ulepu Heritage Trail, or left (east) to traverse some beaches and check out a few blowholes. We opted for the beaches/blowholes route and I believe we went as far east as Kamala Point. Kauai isn’t really known for its coastal walks, but I’d definitely recommend checking this stretch of coastline out for the incredible landscapes you’ll traverse. If you’re a foodie, there are 3 things you absolutely need to try during your Hawaii travels: acai bowls, poke bowls, and shave ice. 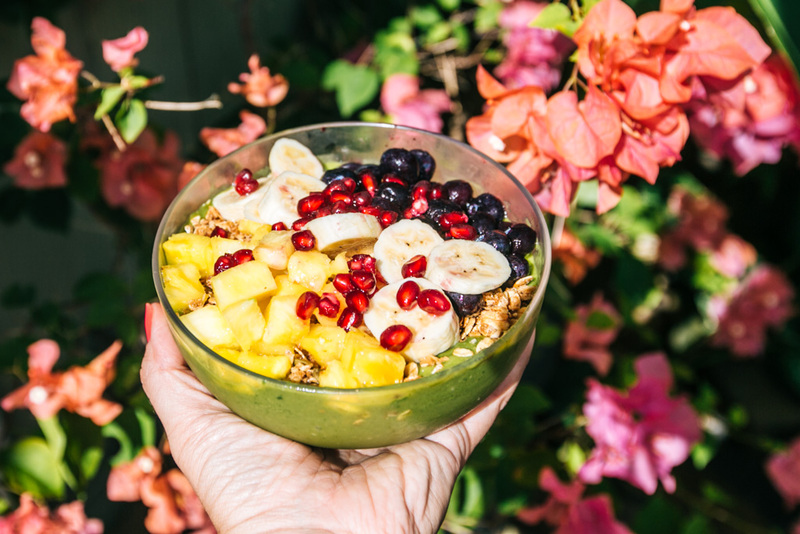 Hawaii is a fantastic place to sample acai bowls and smoothie bowls because of all the local fruit available on the islands and their focus on fresh organic ingredients. On Kauai, I had the best (and most filling) acai bowl of my LIFE at Anake’s Juice Bar, and a really delicious green smoothie bowl at Little Fish Coffee, both of which are on the south side of the island. A poke bowl (pronounced ‘poh-keh’) is cubed fish mixed with veggies and various seasonings, served over rice. A bit like deconstructed sushi, if you will. It’s typically sold across Hawaii in markets and supermarkets as a sort of fast food / takeaway dish, less so as an item on a restaurant menu. On Kauai, some of the best poke can be found at Koloa Fish Market and Pono Market. Honestly, just pick any place listed on the first page of Yelp – they all have stellar reviews. I’m not into sugary things, so I opted out of sampling this Hawaiian treat (I know, I’m the worst). But for all of you more normal folks, definitely try the shave ice in Kauai. It’s similar to a snow cone and does in fact look like colorful snow in a cup, but the difference is that the ice is shaved, not crushed. Apparently this is better for absorbing the syrups and flavors added on top. And because it’s Hawaii, there are plenty of shave ice options with local ingredients used to flavor the ice… and possibly even some vanilla ice cream at the bottom of the cup for extra awesome. I can’t speak from experience, but my sources tell me that some of the best shave ice in Kauai can be found at JoJo’s Shave Ice and Ono Ono Shave Ice. Anna tried one at Wishing Well in Hanalei and was very underwhelmed. You can’t travel to Kauai and not chase waterfalls. The Garden Isle is absolutely brimming with them, so it’d be wrong not to pay a visit to at least a few. 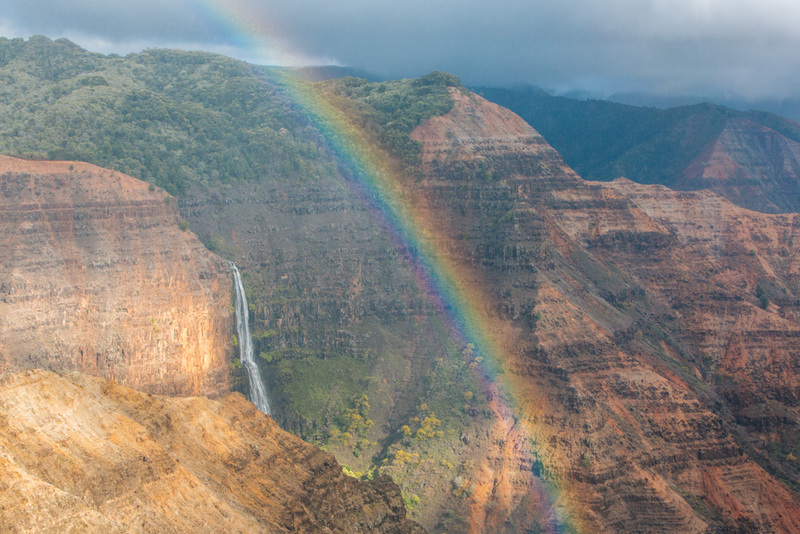 Our Kauai waterfall adventures included glimpsing THE BRIGHTEST RAINBOW EVER form over a waterfall in Waimea Canyon, spotting a whole bunch of very-tall falls in the mountains from our helicopter tour, stopping off the road to check out Wailua Falls, and hiking to Ho’opi’i Falls. 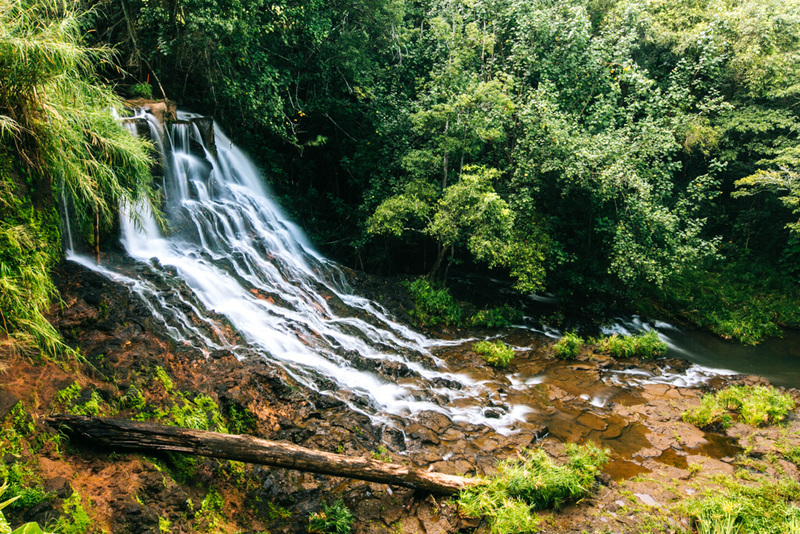 There are loads of others, too – just order a copy of The Ultimate Kauai Guide Book and have it on hand to refer to when you’re craving some waterfall action during your Kauai road trip. 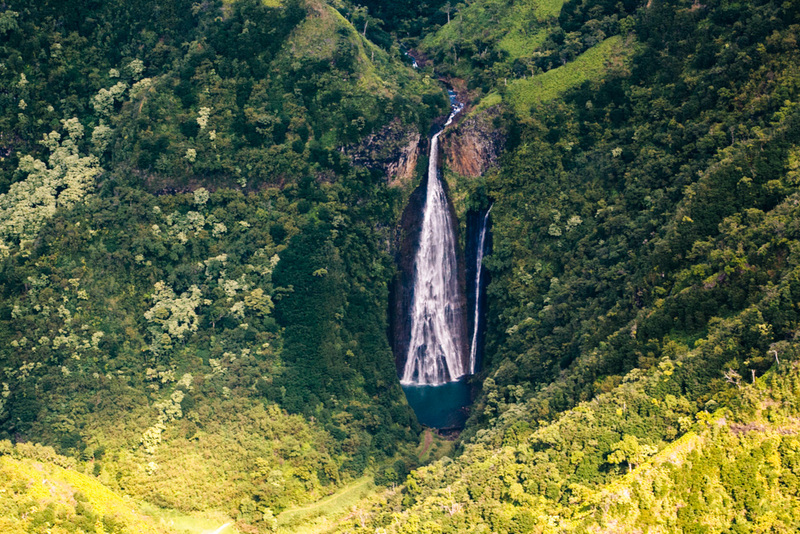 If ever there was a place to splurge on a scenic helicopter flight, Kauai is it. Helicopter tours are *the thing* to do on Kauai, and after experiencing one for myself there I completely understand why. 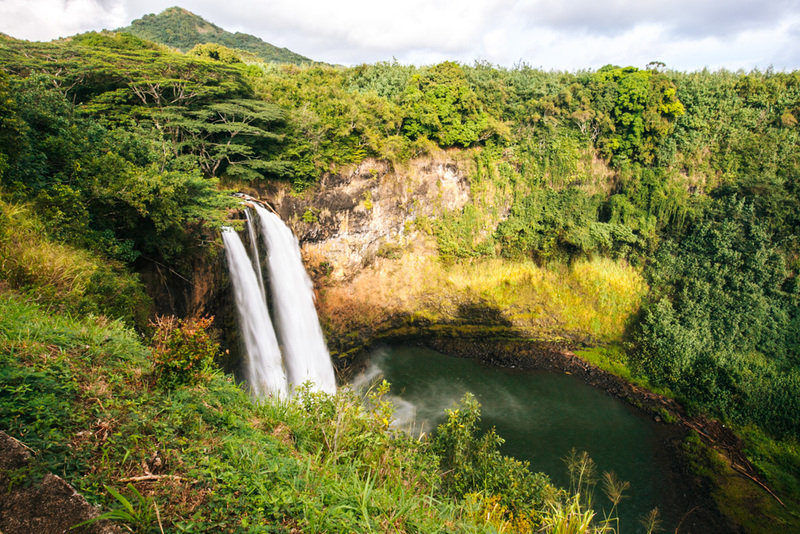 There is so much gobsmackingly stunning scenery on the island that isn’t easy accessible by foot or car, such as all the massive waterfalls in the jungle and the famous Na Pali Coast on Kauai’s west side. 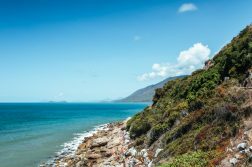 What’s more, exploring the island by helicopter as opposed to a plane is well worth the extra money because helicopters can get you up close to the sights as they are far easier to maneuver than planes are. We flew with Blue Hawaiian and had a perfectly lovely flight, but if I were to do it again I’d probably look at Jack Harter or Safari Helicopters. 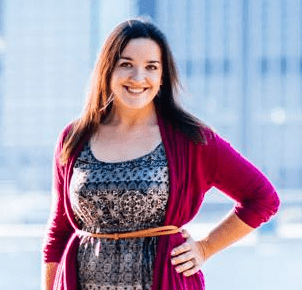 If you need extra convincing, definitely take a peek at the photos I took in the blog posts below! I had every intention of snorkeling with turtles in Kauai. I had it on my Kauai to-do list, and I even purchased a snorkel set from Walmart the day we landed on the island. But sadly it just didn’t happen. Don’t make the same mistake that I did! Snorkeling with turtles in Kauai is absolutely a must-do. Note that the time of year you visit may dictate where you end up snorkeling. During winter the north shore is too rough, so you’ll want to snorkel off the south coast. 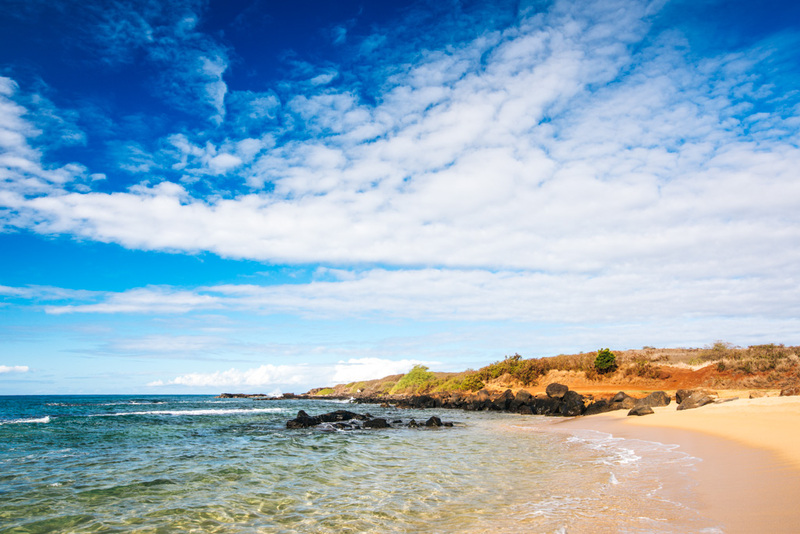 The best places to snorkel in Kauai in winter are Poipu in the south, or possibly Anini in the north as it’s a sheltered lagoon and less subject to rough surf. 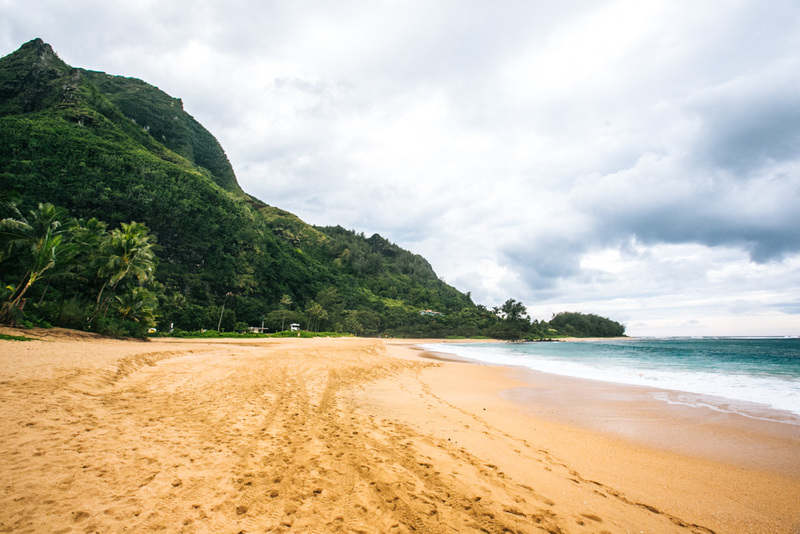 During summer, the north shore is much calmer and has several great snorkeling spots: Ke’e Beach, Tunnels Beach, and Anini Beach, to name a few. If you plan on snorkeling more than once on your Hawaii trip, it’s probably worth it to buy your own snorkel gear rather than rent it. Buy something like this snorkel set for your trip and you should be set. 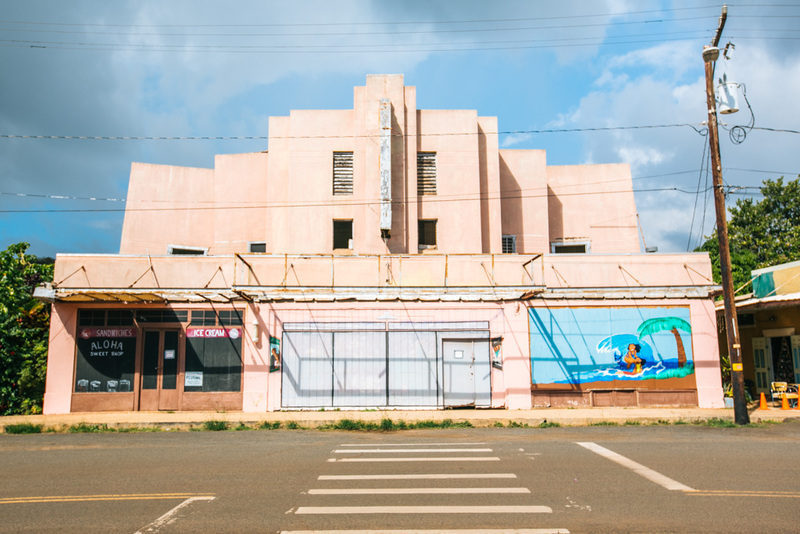 If for some reason you need a break from outdoor adventures, Kauai’s got several small towns that were just made for frolicking. Hanapepe is “Kauai’s biggest little town” (and proud of it, if the sign on the main road is any indication!). We enjoyed the hell out of this cute little hamlet on the south coast, so much so that we stopped off twice there. It kind of rides the line between ghost town and Stars Hollow (fellow Gilmore Girls addicts, you know what I mean). 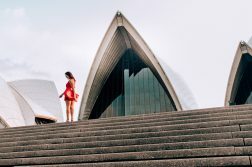 I especially loved the old building facades that just scream photo shoot – and oh yes, we obliged. I really regret not having enough time to properly explore Ka’paa because it looked absolutely ADORABLE. Most of the shop windows were adorned with fairy lights and Christmas decorations, and we basically wanted to check out every single one we drove by. 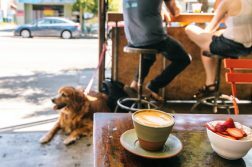 Hanalei Bay is the north shore’s cutest town and caters slightly more to the upscale crowd, featuring boutiques and several fancy-like restaurants. But then it’s also got cheap shops and food trucks to cater to frugal kids like us. 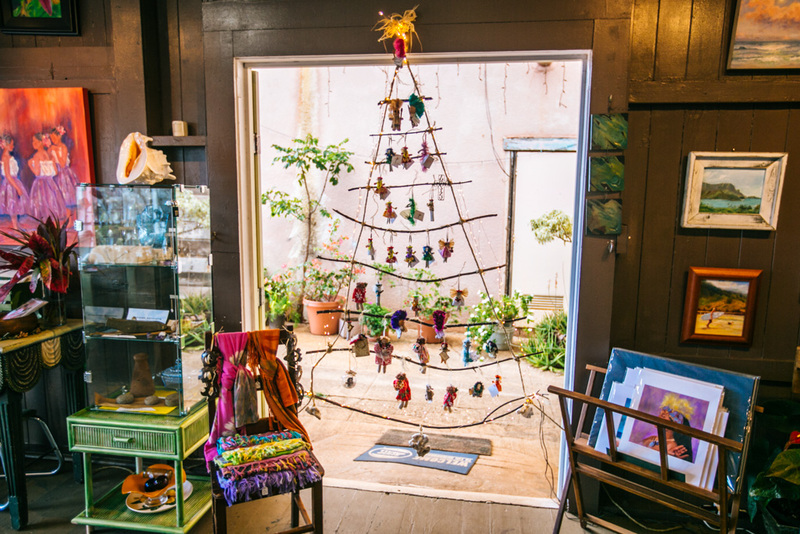 If you’re in town on a Friday morning, definitely stop by the Hanalei Farmer’s Market. The St. Regis on Hanalei Bay. As I mentioned in my other Kauai Road Trip post, I’ve become a massive fan of splurging in the middle of a road trip for a night or two in a ridiculously nice hotel. I find it’s an excellent way to rest up, clean off, and get ready for the next segment of your camping adventure. 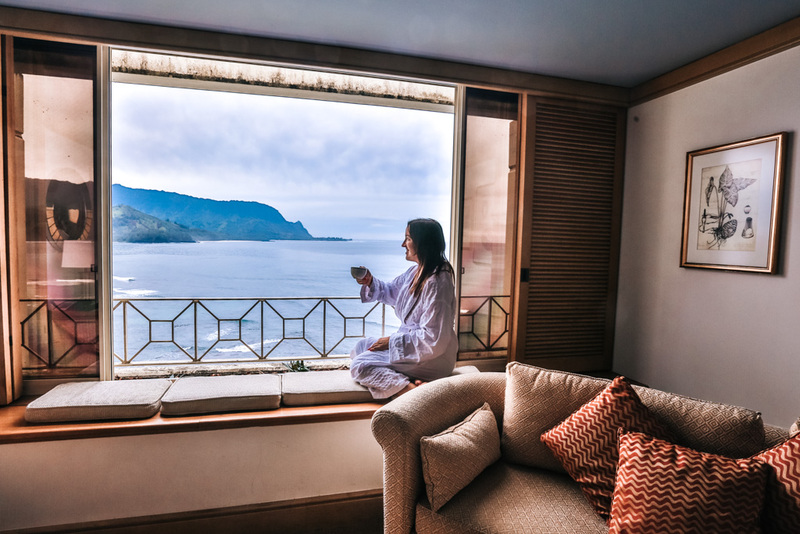 Kauai’s not short of nice hotels, but two in particular that I would wholeheartedly recommend for your Kauai itinerary are the St. Regis and the Grand Hyatt. 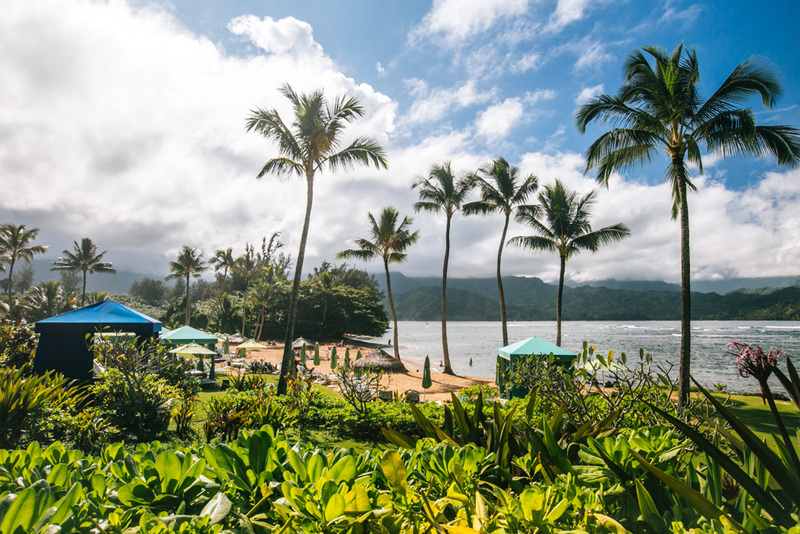 The Hyatt is essentially a family-friendly palace on the south coast, while the St. Regis is a classy couples-friendly resort on the north shore. 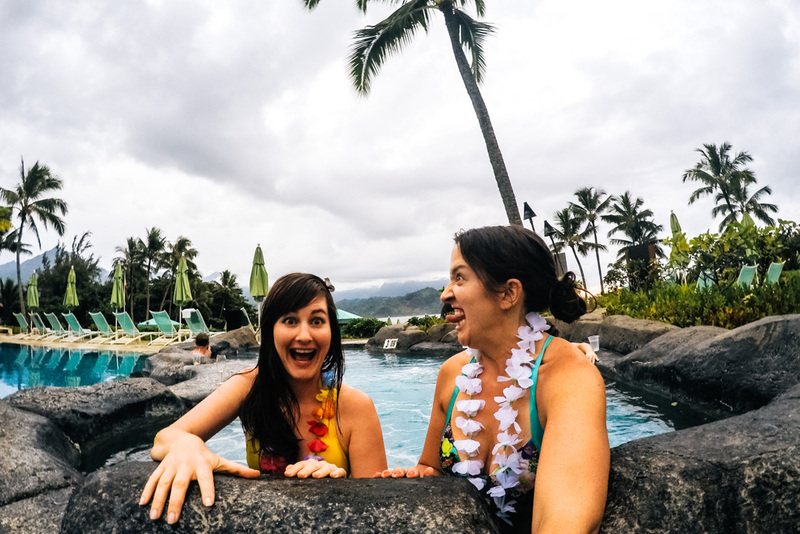 Know what my hands-down favorite part of our Kauai splurge experience was? Rocking up to the St. Regis valet parking stand blasting the Hanson Christmas album, tiny car full of dirty camping gear and a half-inflated air mattress, half-drunk bottle of wine in the passenger door pocket. The staff didn’t even bat an eye at the ridiculous scene we created and treated us with as much class and respect as they would any “normal” guest of theirs. Second favorite part was hanging out by the hotel infinity pool, for sure. Once again, I’m going to call on my trusty pal, The Ultimate Kauai Guide Book, for direction on this one. This book has photos and descriptions of EVERY SINGLE BEACH in Kauai, so you can essentially just flip through and see what looks good while you’re on the road, then drive right there. Due to time constraints and piss-poor winter weather during our stint on the north shore, we didn’t get to sample many of the beaches up there. In general though, the north shore beaches are beautiful, blessed with bright blue water on clear days, and ideal for snorkeling. 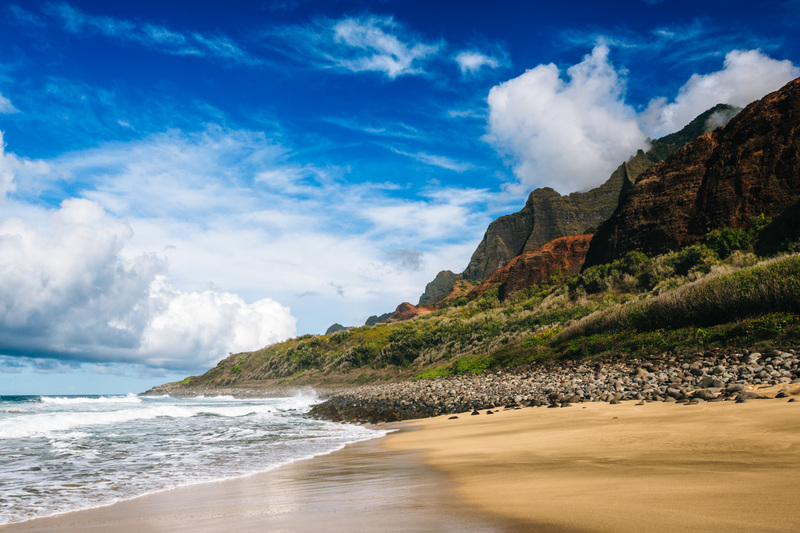 You’re gonna want to spend at least one sunny day of your Kauai itinerary enjoying some of them. Queen’s Bath (in Princeville) is a crazy-cool tide pool slash sinkhole that’s only visible at low tide, and too dangerous to access during winter’s high surf. 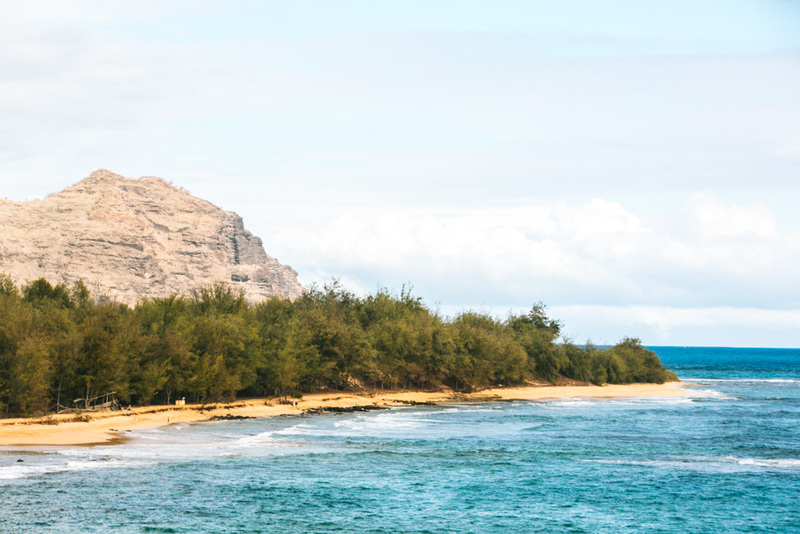 Lumahai Beach is completely gorgeous, and best known as the beach seen in South Pacific. Ke’e Beach is all the way at the end of the road (by the Kalalau trailhead) and has a reef that allows for great snorkeling ops and a sheltered swimming area. Secret Beach offers golden sand, a waterfall, and often dolphin sightings in summer. Warning: this one’s only for experienced and confident hikers! The Kalalau Trail is nothing short of epic. How can it be anything else, really, when it’s known for being one of the most dangerous and beautiful treks in the world? 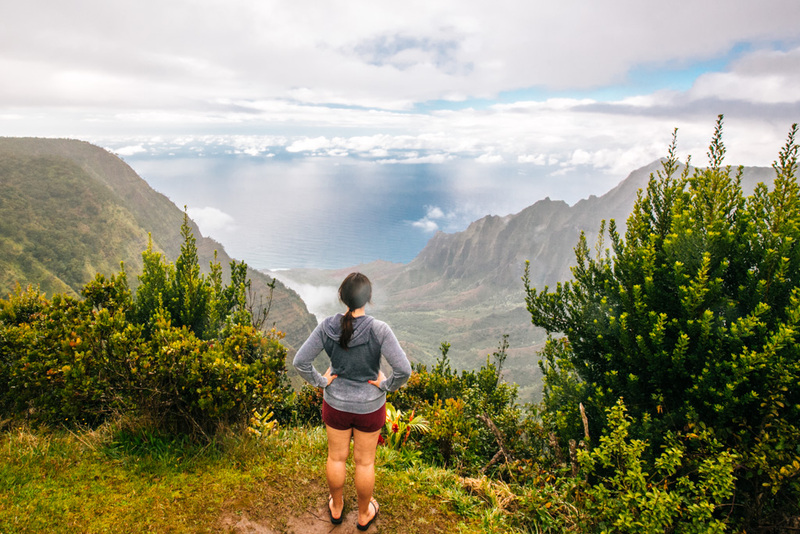 Over the course of 11 miles, you’ll make your way along the stunning Na Pali coast to Kalalau Beach, trudging through mud and tip toeing along cliff edges, pausing often to lift your jaw up off the ground because my god, the views are insanely gorgeous. 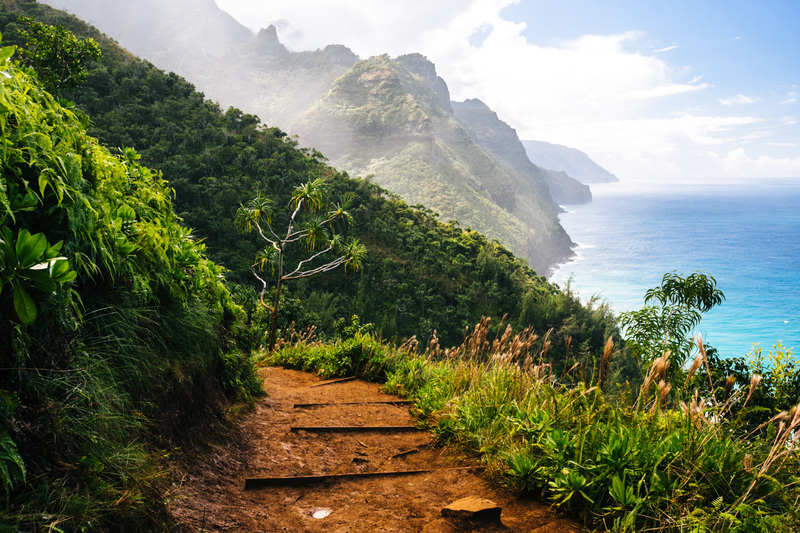 If you’re into multi-day treks, you 100% need to tackle the Kalalau Trail. 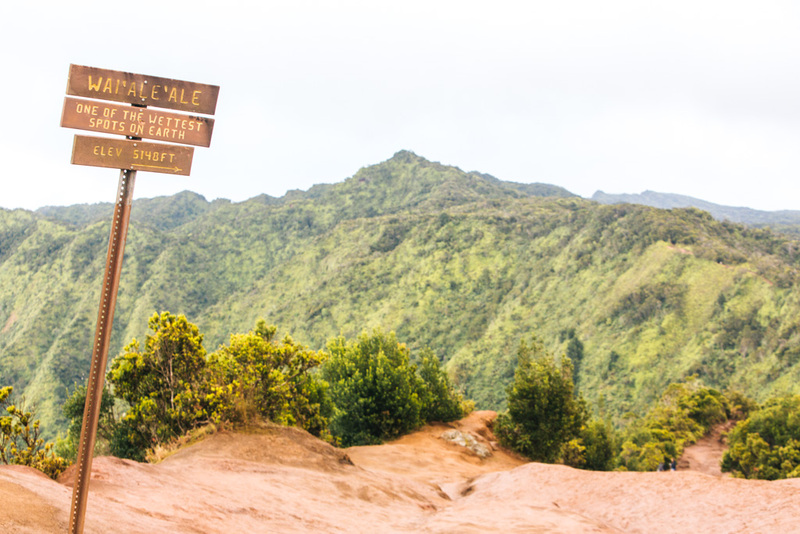 Be sure to allot at least a few days of your Kauai road trip to this hike and book your permit ahead of time. If you’re short on time, can’t get a permit, or don’t feel comfortable hiking the whole trail, consider hiking just the first 2 miles of it to Hanakapi’ai and back. Click the link below to read more details on prepping and taking on the Kalalau Trail. 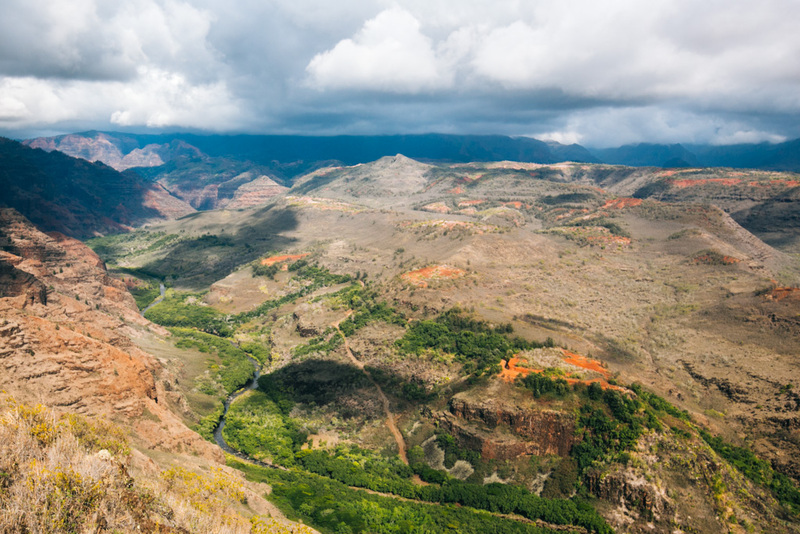 Waimea Canyon is often referred to as “the Grand Canyon of the Pacific”… aka YOU MUST GO HERE. It’s really freakin’ beautiful, even on a dreary day like the one we were not-so-blessed with during our visit. 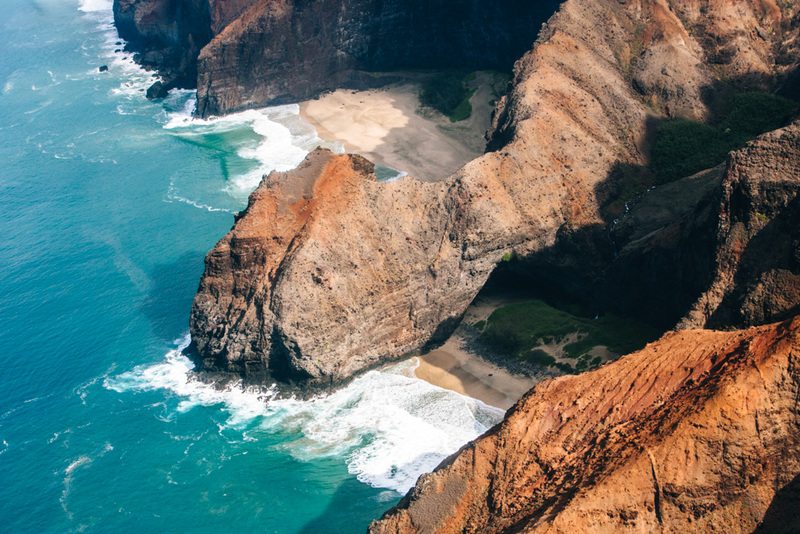 Take Waimea Canyon Road up from the south coast and you’ll pass through Waimea Canyon State Park, then Koke’e State Park. Both are absolutely rife with hiking trails and lookout points. Definitely head all the way to the top to the Kalalau lookout for an insane view down into Kalalau Valley. Again, use The Ultimate Kauai Guide Book as your Kauai bible: it does a fantastic job at outlining all of the hiking and viewpoint-hopping options in the parks so that you can narrow it down to your must-dos. Had I had more time allotted in my Kauai itinerary for Waimea, the Honopu Ridge Trail (5 hours return) would have been my day hike of choice. And had I not taken on the Kalalau Trail, I’d have done one of the multi-day Kauai hikes down into Waimea Canyon (where I’ve heard you can camp near waterfalls). Hanalei Bay isn’t just the picture-perfect cove on which celebrities own lavish homes; it’s also a damn fine spot to mount a surfboard for the first time, thanks to the excellent small wave action. You can learn how to surf in Kauai with Hanalei Surf School at $75 for a 1.5 hour lesson, or Hawaiian Surfing Adventures at $65 for a 1.5 hour lesson. Alternatively, you should be able to rent surfboards or stand up paddleboards from either company and take them out into the bay yourself. 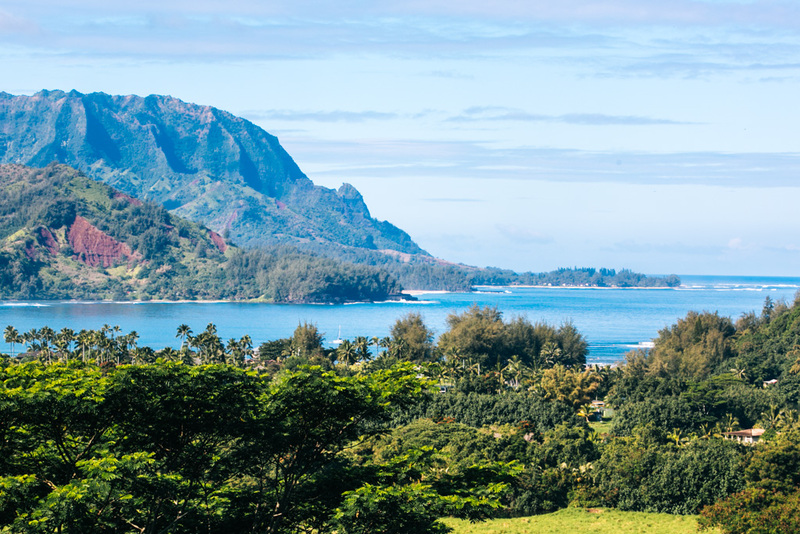 What else would you add to a Kauai itinerary or Kauai road trip?